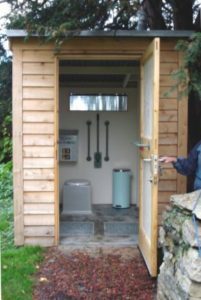 NatSol waterless toilets are the ideal solution for adding full access toilet facilities to rural churches without sewage or even water connections. The urine separation and large capacity vaults mean that the toilet can easily cope with the busiest of events. Being waterless these toilets are silent in operation, immune from freezing and there are no drains to block. They are an excellent alternative to the popular Trench Arch church toilet system which was invented by NatSol Technical Director Nick Grant. The Trench Arch has been recommended by Church Care for some years. Trench Arch systems serve flush toilets and are dependent on suitable ground conditions and available falls to work correctly. We can provide a wide range of solutions whether building integrated or discrete privy style to suit your budget and requirements. This is perhaps the simplest and least invasive way to add a toilet to a rural church. We make bespoke timber buildings to complement any setting and can provide a building without cladding to allow it to be finished in local materials to give more control over the final look. The roof can be a simple mono pitch like our standard ‘allotment style’ toilets or a more traditional slate or tile clad pitched roof. Building the toilet as a lean to allows a more integrated look for some sites. The NatSol chamber forms the floor and foundations and the building can be in timber or masonry with a roof to match or contrast the existing church buildings. The image on the right was produced by Dempsy Decourcy Architects using the Sketchup model available to download here. The picture below is of the toilet and building we supplied to All Saints Church in Thirsk. It was installed against an outbuilding. Another view of this toilet can be seen under Church Toilet Examples. This is usually a more expensive option unless using the more modest Compact system. 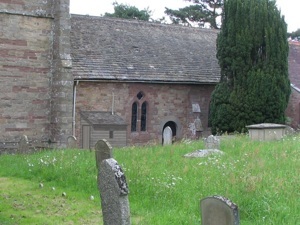 At Abergynolwyn and Llanegryn churches a full size NatSol toilet was lowered into the buildings through the roof – see the church examples page. 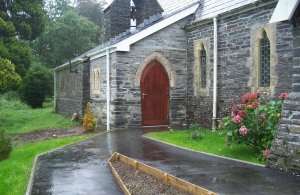 A full capacity COMPUS system was installed at Abergynolwyn Church whilst the roof was off. 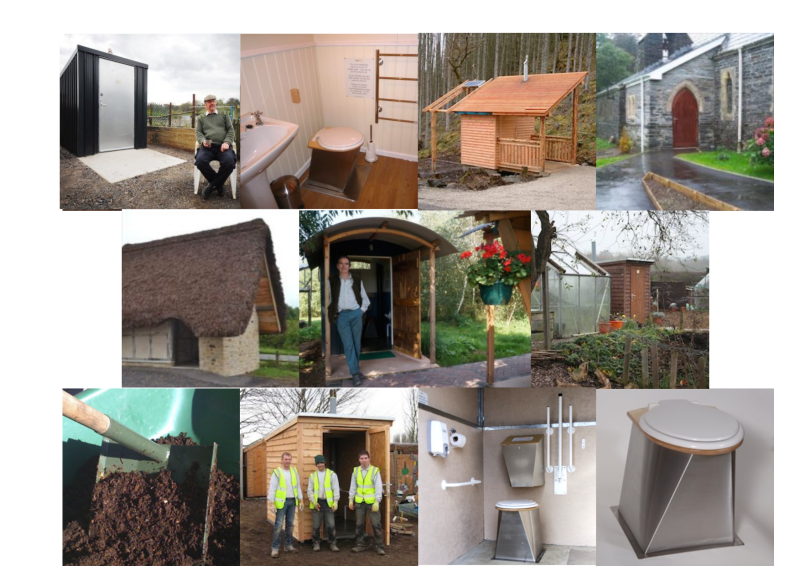 See examples of church toilets here, more coming soon. Please call us on 01686 412653 or use the email form on the contact page for more information. Thanks.